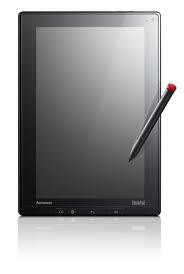 A good example on how bad can the DRM software be is the Lenovo's 2011 Thinkpad Tablet 1 (Android) example. This Thinkpad Tablet came with a locked bootloader to protect the DRM license agreements with the OEM software included on it. It ended up turning that a software problem can brick the tablet, since you can not access the lower level firmware to fix the tablet software corruption because of the locked bootloader, Lenovo will have to change the perfectly working mainboard if it was under warranty. I tried to escalate this issue for Lenovo to unlock this bootloader, but I my only little victory was for Lenovo to recognize the problem and provide a "Free Mainboard Replacement" warranty until August 31 of 2014. Lenovo did not comply to unlock the bootloader and does not want to provide a full stock ROM because it will need to unlock the bootloader for the user to install it. This was my real case scenario of why you need to stay away of DRM software on a tablet.